My friend Sean Knickerbocker has just put out a new 3-color risograph 28 page comics ‘zine! It’s called AWESOME SOUND. This is the beginning of a beautiful, beautiful thing. It features the work of 3 great cartoonists that I have the good fortune of knowing personally, DW, Dan Rinylo, and Sean K. himself. Oh, and I have a short little comic in there, too! If you’d like to pick up a copy, hop on over to Sean’s online shop. They’re just $5! 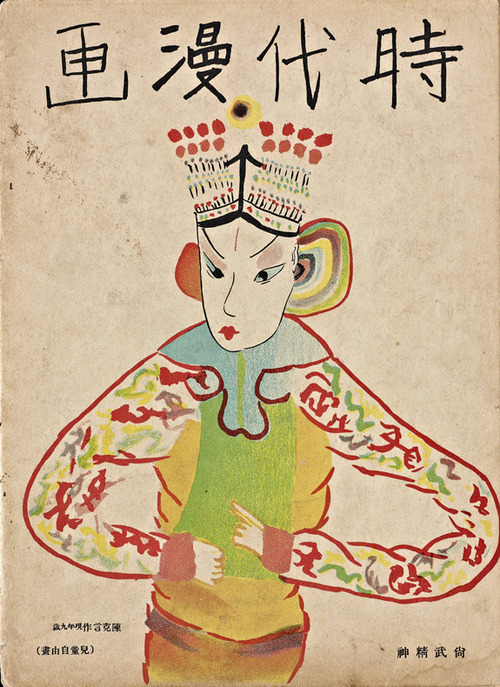 Chinese opera character drawn by a child (Chen Keyan) for this 1935 cover. In a more historical vein, I’d like to share with you an amazing cartooning resource that I came across recently, Modern Sketch. I recommend you take a moment to acquaint yourself with this classic Chinese cartooning and illustration magazine! 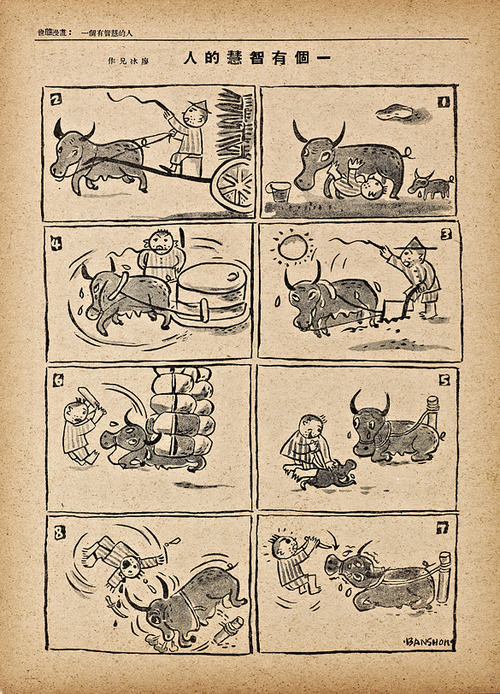 Published in Shanghai monthly from January 1934 to June 1937, Modern Sketch conveyed a range of political and social commentary through lively and sophisticated graphics. 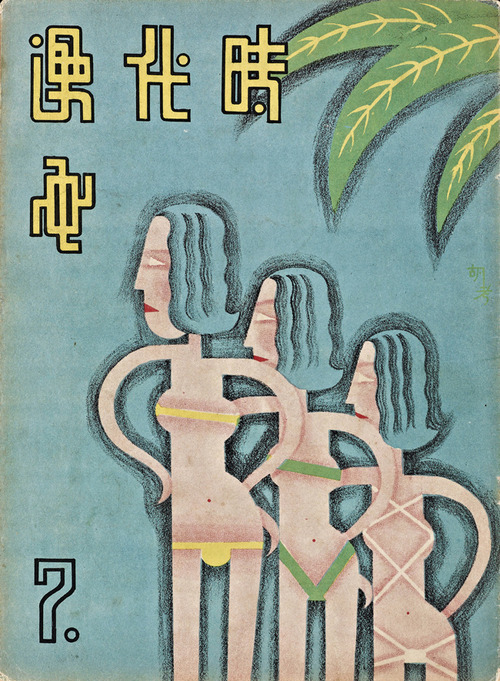 Topics included eroticized women, foreign aggression—particularly the rise of fascism in Europe and militarized Japan, domestic politics and exploitation, and modernity-at-large as envisioned through both the cosmopolitan “Modern Girl/Modern Boy” and the modernist grotesque. 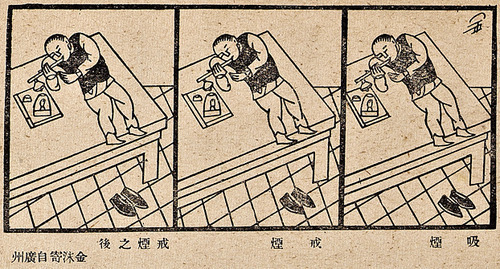 I urge you to take a moment out of your day to read John A. Crespi’s essay “China’s Modern Sketch: The Golden Era of Cartoon Art, 1934-1937” at MIT Visualizing Cultures. There’s a lot to soak up. Every issue can be seen in high resolution at Colgate Digital Collections. What a treat! Crespi highlights a few comics of the era. Be sure to have a look!